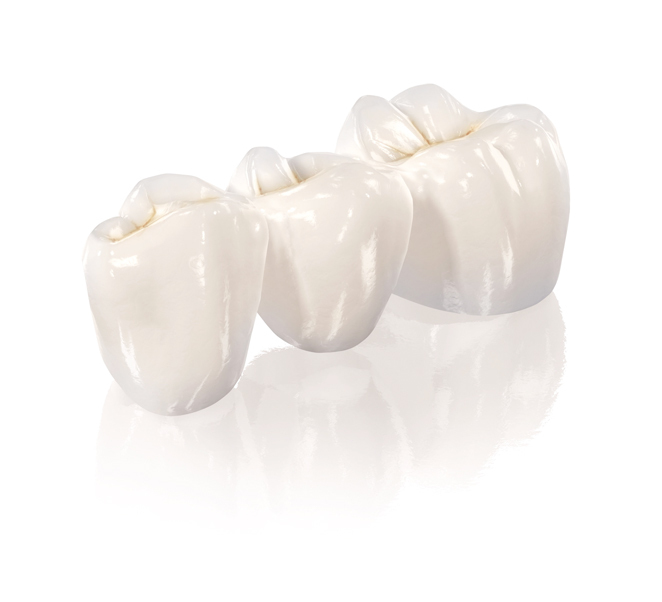 Replacing a single tooth can now be achieved by a fixed bridge or by an implant retained crown. A fixed bridge is an option to replace a missing tooth. Your dentist drills down two or more adjacent teeth to create space for the crowns of the prosthetic teeth. When you place a bridge on natural teeth, it will increase the functional forces that are placed upon them. Dental Implants function as the root of a new tooth. Once inserted in the mouth, they look, feel and function like natural teeth. The implants themselves are small titanium posts that are inserted into the jawbone to replace those missing teeth. These metal anchors act as tooth root substitutes. Once surgically placed, the bone bonds with the titanium (a process called ‘integration’), creating a strong foundation for artificial teeth. Small posts are then attached to the implant, which protrude through the gums. These posts provide stable anchors for the artificial replacement teeth. 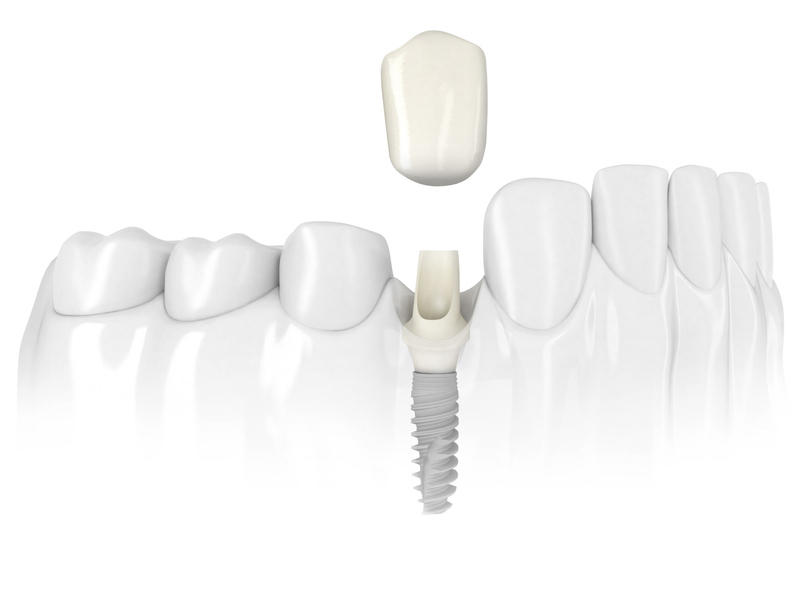 When this process is complete, an abutment is attached to the implant that will connect the final crown to complete the procedure. An implant crown is not susceptible to cavities but may develop complications if oral hygiene is not maintained consistently over time. What are the advantages of a single tooth implant over a bridge?